EarthShare of Georgia is a non-profit corporation that represents member organizations, like the Georgia Wildlife Federation, in employee giving campaigns. EarthShare of Georgia is part of a network representing more than 400 environmental groups working locally, nationally and internationally. Employees participating in a workplace giving program can either give to EarthShare at large or give to specific organizations within EarthShare. GIVE AT THE OFFICE. If you already have the opportunity to support EarthShare of Georgia at your worksite, please consider pledging a payroll deduction gift. 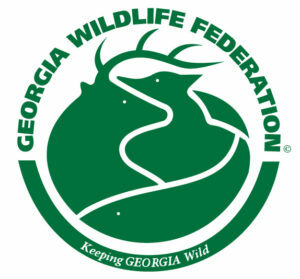 Contributions can be made generally to be shared among the members or designated to one or more specific organizations, such as the Georgia Wildlife Federation. Pick up a pledge form from your company’s campaign coordinator. If you are not sure whether your employer has an environmental option, check the EarthShare of Georgia’s list of participating businesses.If you are a Federal employee, find out more about the Combined Federal Campaign. SET UP A WORKPLACE GIVING PROGRAM. If your workplace is not a current EarthShare of Georgia partner, visit the EarthShare of Georgia website website to learn how to particpate.